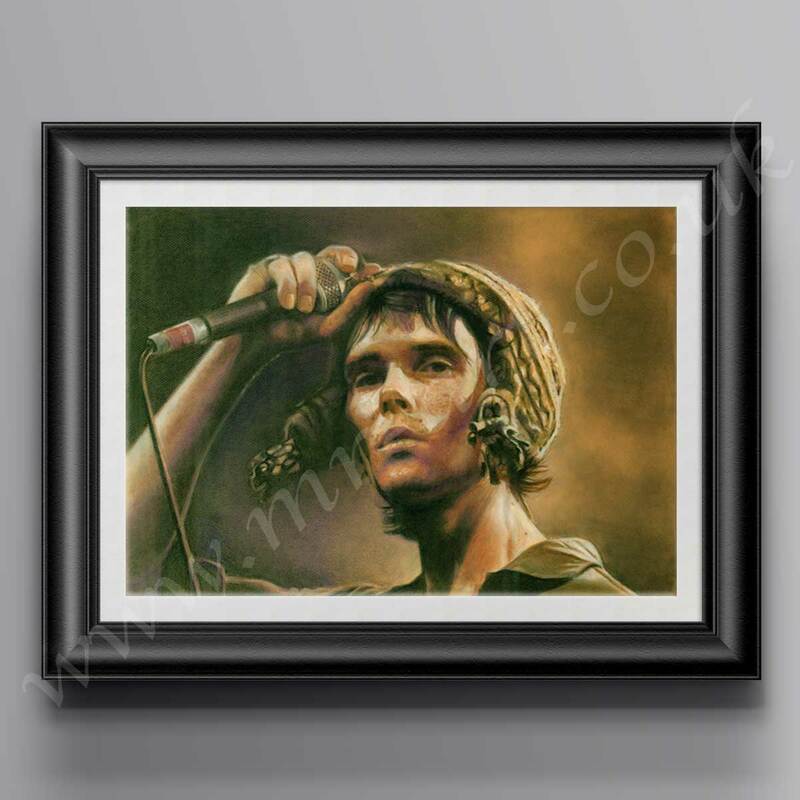 Ian Brown Stone Roses print from original pastel artwork by Mark Reynolds. This piece is limited to just 500 prints. All prints come individually signed by the artist and come with a certificate of authenticity. All the prints purchased from this site are produced using archival quality paper and Canon ‘Lucia’ pigment based inks. The Giclee process produces a high resolution print that recreates the fine detail of the original, and with up to 12 colours being used, colour accuracy is maintained.